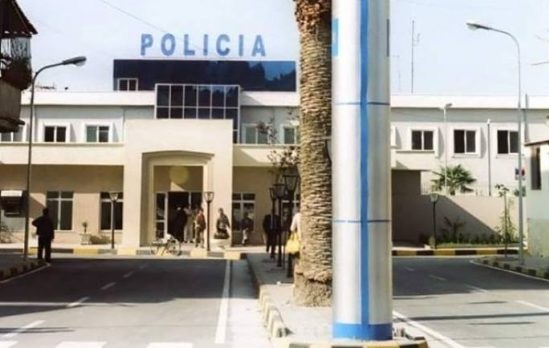 After the statement by Vlora Police that in the last three years 23 persons have been disappeared in the coastal city, the files for at least three of them have passed to the Serious Crimes. Two of the last disappeared persons in Vlora may be executed by criminal groups police suspects, these are Albano Xhaferri and Elvis Troqe, who have lost track respectively in June and July of this year. Serious Crimes are also investigating the disappearance of Leonard Mehmeti, known as Nani, an entrepreneur in Vlora, who disappeared on 22 November 2016. From family reports, it is apparent that Mehmeti had friendships with Ervin Dalipaj and Jino Dautaj, both executed in 2016 on the Tirana-Durrës highway. Ervin Dalipaj was in search of suspected kidnapping and execution of Gazmend Collaku. Meanwhile, the Prosecution of Vlora has published the list, the names of the persons denounced missing, but only four of these cases have criminal proceedings after are found elements of criminal offense. The investigative group has suspicions that the disappearance of some of them has come to expense or revenge on issues related to illegal activities, mainly drugs. Police sources say it is not excluded the posibility that they are killed, but as long as no bodies are discovered these people are considered missing. Albano Haskaj, disappeared since 07.09.2016 / Aldo Likaj,disappeared since 04.10. 2016 / Leonard Mehmeti (nani) disappeared since 21.11.2016 / Elidon Ferrataj, disappeared since 29.11.2016 / Adrian Jaho, disappeared since 03.07.2017 / Ariseldo Maze, disappeared since 03.07.2017 / Besho Mahmutaj, disappeared since in 2017 / Gjergji Kokoshari, disappeared since 20.03.2017 / Lavdosh Sinanaj, denounced in 2017 / Marjo Metushi, disappeared since 16.06.2017 / Majlinda Koçi, disappeared since 05.03.2018 / Shpresa Boka, disappeared since 2018 / Shpetim Pasha, disappeared since 2015 / Teuta Pasha, disappeared since 2015 / Saimir Pashaj disappeared since 02.11.2018 / Albano Xhaferri, rdisappeared since 18.06.2018 / Ervis Troqe, disappeared since 17.07.2018 / Fatos Sulaj, disappeared since 01.06.2018 / Gentian Çollaku, disappeared since 2018 / Ksandro Imeraj disappeared since 02.02.2018. Edmond Durmishi, left the psychiatric hospital and returned back / Eduard Habibi, disappeared on 19.05.2018 and returned back. According to police data, four of the missing have been lost in the sea, attempting to transport narcotics to Italy. 15 others result in a mysterious disappearance, some of which are suspected of being killed. Only during this year there are 13 denunciations of lost persons.